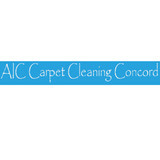 Established in 2006 We are known for solving the carpet cleaning related problems that no one else can. Our carpet cleaning are knowledgeable about a wide array of carpeting types, and the dilemmas ensued from carpet cleaning. Our company's honorable reputation is well known, because we always strive to go beyond professional cleaning. We have been serving residential and commercial establishments of the San Francisco East Bay Area - Contra Costa County since 1989. Diablo Steam Way is owned and operated locally by Shaw Falahati, certified as an IICRC Master Cleaner & Restorer, which is a certification for highly trained individuals in fabric cleaning and restoration. We utilize the most powerful Hot Water Extraction System in the cleaning industry, built by our national distributor, Steam Way International. Our years of experience, unparalleled training, and superior equipment insures that all our customers receive outstanding service. Meeting and Exceeding All Of Our Customers’ Expectations! When it comes to getting your Carpets, House, Office or business cleaned no one does it better than our highly trained technicians. With over 10 years of experience we are great at removing new and old stains, making your carpets look new and leaving them smelling fresh. Our truck mounted units provide deep carpet cleaning that is fast drying. Stains and pet odors don’t stands a chance. We are USA Carpet Cleaning and our purpose is to provide fast, friendly, efficient, 100% satisfaction guaranteed service to all of our customers. 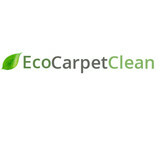 We started our company in 2010 and have quickly become one of the best carpet cleaning companies in Bay Area USA Carpet Cleaning providing customers both residential and commercial, with a low cost, more effective alternative to traditional “ECO FRIENDLY” carpet cleaning methods .which one is safety for people and pets. Our process is effective in stain and pet odor removal. Since we began, our Bay Area carpet cleaning business has grown tremendously and we have expanded into many other areas of cleaning, sanitation and even carpet installation. USA Carpet Cleaning offers carpet and rug cleaning, tile & grout cleaning, upholstery cleaning, air duct cleaning, dryer vent cleaning and carpet installation. Whatever your cleaning and sanitation needs are, USA Carpet Cleaning is your one stop cleaning and sanitation company in Bay Area. If you'd like to discover a full-service cleaning company that also happens to be a customer service powerhouse, say hello to Steven Dillon Floor Maintenance. Our cleaning work is top-notch, and so is our customer service. Our company priority is and always will be complete customer satisfaction. We offer a broad selection of residential and commercial cleaning services. Our many residential services include mattress cleaning, carpet cleaning, pet odor extraction, tile and grout cleaning and lastly, upholstery cleaning. Our commercial services include tile and grout cleaning, glass restoration (excellent for unsightly scratches and dents), carpet cleaning, power washing and window cleaning. Our staff technicians are among the most experienced and capable cleaning professionals around. 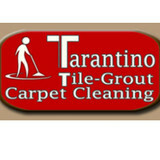 They're devoted to providing our loyal customers with the most reliable and effective cleaning work. Our technicians are trained in all of the most modern cleaning methods, as well. If you're a clean freak, you'll love our team members. We use cleaning solutions and equipment that you can fully depend on. While we focus on the use of innovative and updated cleaning solutions and equipment, we also focus on pure safety. Our cleaning solutions are mild and far from harsh. Our cleaning tools are a fantastic combination of strong and delicate. We're a full-service, highly respected cleaning company that specializes in a wide range of diverse cleaning specialties. If you're mad about great customer service and fantastic cleaning work, call us today to set up an appointment. Our attentive and detailed cleaning work is hard to top. Just a few reasons why you should choose Concord Carpet & Hardwood for your flooring needs: When it comes to your home, quality matters. You deserve the best and you deserve to know what whatever flooring you choose to invest in will be installed correctly, appear just the way you expect, and hold up for many years to come. At Concord Carpet and Hardwood our professional flooring team has decades of experience helping home and business owners just like you select the perfect floor at an outstanding price. Based in Concord, CA with services available to the entire Bay Area community, Concord Carpet and Hardwood possesses an outstanding inventory covering a wide variety of hard and soft flooring options such as: Hardwood Flooring Laminate Flooring Tile Flooring Vinyl Flooring Carpet Area Rugs Outstanding Customer Service A floor is an important investment, and one that should be made with the support and backing of a proven flooring company. Whether you are buying your first home, building brand new, renovating, or searching for commercial flooring for an office or other property, Concord Carpet and Hardwood’s services can help. We’ll answer your questions and fill in the gaps so you can weigh the different options available and make a truly informed flooring choice. Flawless Repairs With time and use, even the best-maintained floor will eventually start to lose its shine. At Concord Carpet and Hardwood we enjoy breathing new life into faded hardwood floors with affordable, cutting-edge floor restoration and refinishing services. Additionally, we offer comprehensive repair services for all types of flooring so that you can finally have those warped floor planks, torn linoleum, or cracked tiles taken out and seamlessly replaced. Quality Care Carpet Cleaning Inc. in Brentwood California, 94513 is a family owned and operated full service carpet cleaning expert. We have over 20 years of experience. We serve Brentwood, Oakley, Antioch, Pittsburg and the surrounding California areas. Our goal is to build relationships with both our commercial and residential carpet cleaning customers in order to enhance customer knowledge regarding our carpet cleaning process and enrich the overall customer experience with our company. We are fully licenced, bonded, and insured. 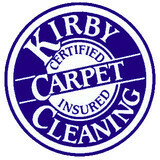 When you select Quality Care Carpet Cleaning Inc. you can be assured there will be no hidden charges. Estimates are given before any work is performed. Price is given per square foot and includes everything from start to finish including all pre-spotting. Evening and weekend hours are available.